Whales belong to the order Cetacea which has 79 species, including Dolphins, Porpoises and Killer Whales (orcas). The name ‘Whale’ is quite a confusing term when classifying these large mammals. Some Whales that are called ‘Whales’ are not actually Whales. 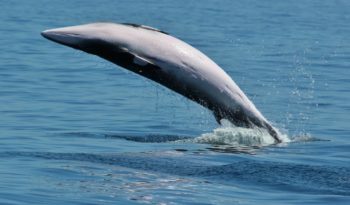 It can refer to all cetaceans, to just the larger ones, or only to members of particular families within the order Cetacea. Whales are those cetaceans which are neither Dolphins (i.e. members of the families Delphinidae or Platanistoidea) nor Porpoises. This can lead to some confusion because Orcas (‘Killer Whales’) and Pilot Whales have ‘whale’ in their name, however, they are Dolphins for the purpose of classification. All Whales, just like Dolphins and Porpoises, are descendants of land-living mammals. It was about 50 million years ago that they first entered the waters on our planet. Whales probably descended from the order Artiodactyla which contains the even-toed ungulate mammals. Baleen Whales: These Whales have a sieve-like structure in the upper jaw made of keratin (the same substance rhino horns are made of) which they use to filter plankton from the water. 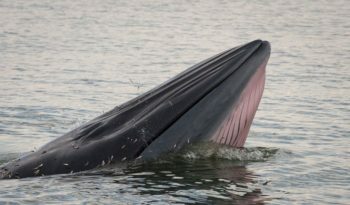 Baleen Whales are the largest species of whale. For example: a Humpback Whale is a baleen Whale. 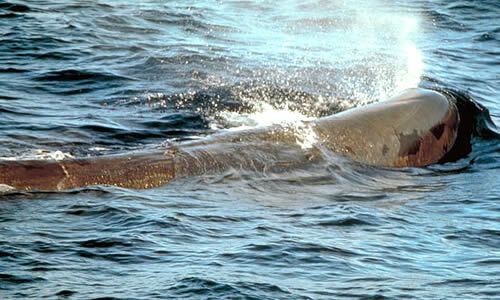 Toothed Whales: These Whales have teeth and are carnivores which means they feed upon meat such as fish and squid. An outstanding ability of this group is that they are able to sense their surrounding environment through echolocation (a biological sonar used by several mammals such as Bats, Dolphins and Whales). Killer Whales and Sperm Whales are Toothed Whales. Whales are mammals most fully adapted to aquatic life. Their body is a stream-lined shape which allows them to glide gracefully through the water. Their forelimbs are modified into flippers. 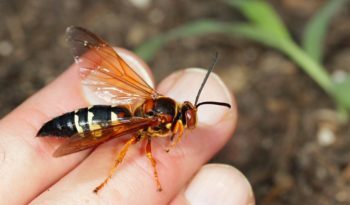 Their tiny hind limbs are vestigial; they do not attach to the backbone and are hidden within the body. The tail has horizontal flukes. Whales are practically hairless and are insulated by a thick layer of blubber. Like all mammals, whales breathe air into lungs, are warm-blooded and feed their young milk from mammary glands. Different species of whale are different characteristically including appearance, size and shape. Some whales (such as Sperm Whales and Baleen Whales) sometimes have rudimentary hind limbs; some even with feet and digits. 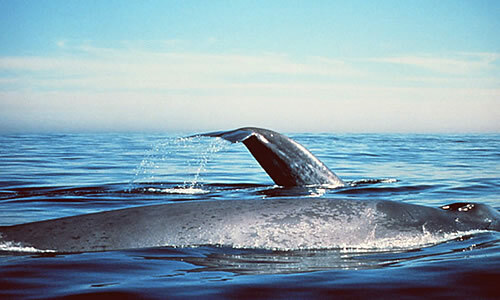 Most species of whale bear a fin on their backs known as a dorsal fin. All whales breathe through ‘blow-holes’ which are located on the top of their heads. This allows them to submerge beneath the surface of the water for long periods of time. Baleen Whales have two blow-holes on the top of their heads whereas Toothed Whales only have one. 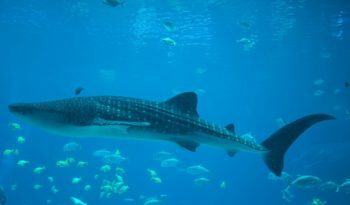 Some whales, such as the Sperm Whale, can stay underwater for up to two hours holding a single breath. The size of a whale differs among species. 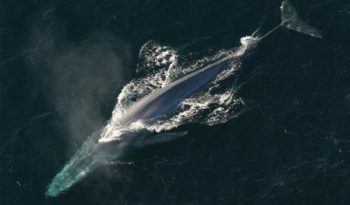 The Blue Whale is the largest known mammal that has ever lived and the largest living animal, measuring up to 30 metres (93 feet) in length and weighing 180 tons. The smallest Cetacean is Hectors dolphin which is less than 5 feet long. Outside of the dolphin family, the smallest whale is the Dwarf Sperm Whale which measures 8.5 feet long (2.6 metres). The loudest Whale is also the Blue Whale, their call can reach up to 188 decibels and can be heard over hundreds even thousands of miles away. The Blue Whale is louder than a jet plane which reaches 140 decibels. The loudest a human can shout is about 70 decibels. Sounds that reach 120 – 130 decibels are quite painful to human ears! 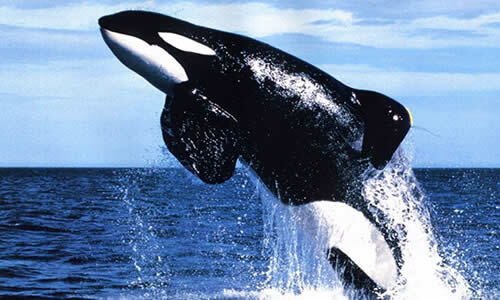 The fastest swimming whale is the Killer Whale or Orcas. 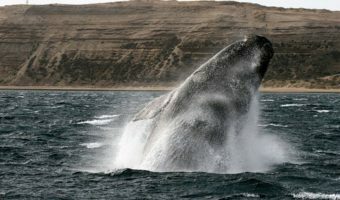 These whales can reach speeds of 30 miles per hour although the Dall’s Porpoise and the Sei Whale may be even faster. Killer Whales are also the deadliest Whales in the oceans. Everyday, an Orcas needs to eat hundreds of pound of fish, marine mammals (including other whales), squid, sea birds, etc. Killer Whales need to eat 3 – 4% of their body weight each day (baby whales (calves) eat about 10% of their body weight daily). Food is generally swallowed whole and not chewed at all. Killer Whales are skilled hunters, they either hunt alone or in Pods (schools of whales) which circle the prey and is a more efficient way of hunting. The deepest diver is the Sperm Whale who dive to 10,500 feet to prey on Giant Squids. These deep dives last as long as 40 minutes each time, with occasional 10 minute breaks at the surface. The Sperm Whale also has the largest brain of all whales. Its brain weighs around 20 pounds (9 kilograms). The most musical whale is the Humpback Whale whose complex noises create beautiful tunes. These whales are also the noisiest Wwhales (not the loudest). Their squeaks and grunts are long, varied and haunting. The most beautiful sounds are made when they are in warm waters, however, in colder waters, their sounds are a little rougher. 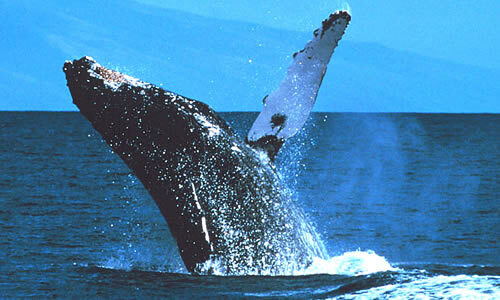 The songs have the largest range of frequencies used by whales, ranging from 20 – 9,000 Hertz. 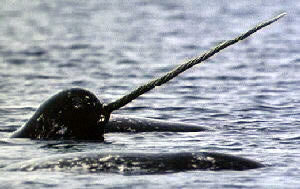 The Narwhal has the longest tooth which measures up to 7 – 10 feet (2 – 3 metres) long. 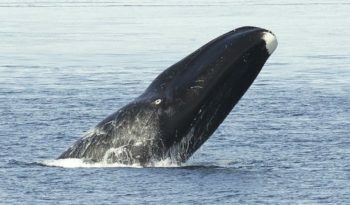 The Bowhead whales have the longest baleen. The Bowhead Whale has around 350 pairs of black baleen plates with silver-coloured bristles hanging from its jaws. The baleen is very fine and measure about 175.5 inches long and 14 inches wide. Killer Whales and Pilot Whales live in extremely large pods that contain many generations of whales. They live comfortably together, congregating and helping each other with hunting, feeding, migrating and caring for the young.